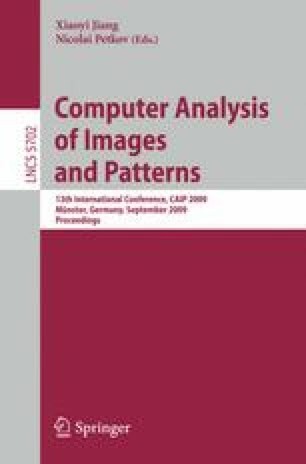 A fully automatic colour texture editing method is proposed, which allows to synthesise and enlarge an artificial texture sharing anticipated properties from its parent textures. The edited colour texture maintains its original colour spectrum while its frequency is modified according to one or more target template textures. Edited texture is synthesised using a fast recursive model-based algorithm. The algorithm starts with edited and target colour texture samples decomposed into a multi-resolution grid using the Gaussian-Laplacian pyramid. Each band pass colour factors are independently modelled by their dedicated 3D causal autoregressive random field models (CAR). We estimate an optimal contextual neighbourhood and parameters for each of the CAR submodel. The synthesised multi-resolution Laplacian pyramid of the edited colour texture is replaced by the synthesised template texture Laplacian pyramid. Finally the modified texture pyramid is collapsed into the required fine resolution colour texture. The primary benefit of these multigrid texture editing models is their ability to produce realistic novel textures with required visual properties capable of enhancing realism in various texture application areas.